We only have 24 hours a day and to some it doesn’t feel enough. With endless workload, the stress starts to kick in and eventually will bring your mood down if not handled immediately. Sooner or later you will get mixed feelings and overwhelmed by everything. All of sudden, you just do not know which to tackle first among your pile of tasks. Have you ever felt that way? If yes, then don’t worry. You’re not alone. Lots of us sometimes feel this way; not wanting to do anything but the workloads are never ending. It is even more common after a long break or holidays. So, we drag ourselves to work without planning it on the first hand. Before you do anything, remember to take a step back and inhale a few shots of fresh air to clean your mind from any clutter or any unnecessary stuffs. Then follow these few tips to organise your day and turn it into a super productive day. I’m sure each one of us have endless list of things to do and I know we all want to get everything done by the end of the day. So we start listing everything down in the to-do-list. Am I right? Ever heard of the phrase “less is more”? This is the case where we should practise it. I suggest to sort your things first. Find out which task is more important and focus on around 3-5 tasks per day only, not more than that. Once you are done with a task, cross it off from your list. Another trick is you can plan your day the night before. You will be amazed how the list can assist you in managing your tasks. When you have too much on your plate and the deadlines are nearing, the temptation of multi-tasking will come attacking your brain. The idea of multitasking is actually not really good because some research show that multi-tasking can cause distractions, affect brain health and reduce productivity. Completing one task at a time is more advisable for you to increase your focus and get your task done faster. Nothing can beat short breaks. No human being can work 24 hours straight and still functions well. We are not robots. Even robots and machines need maintenance and breaks to run without distortions, let alone humans. 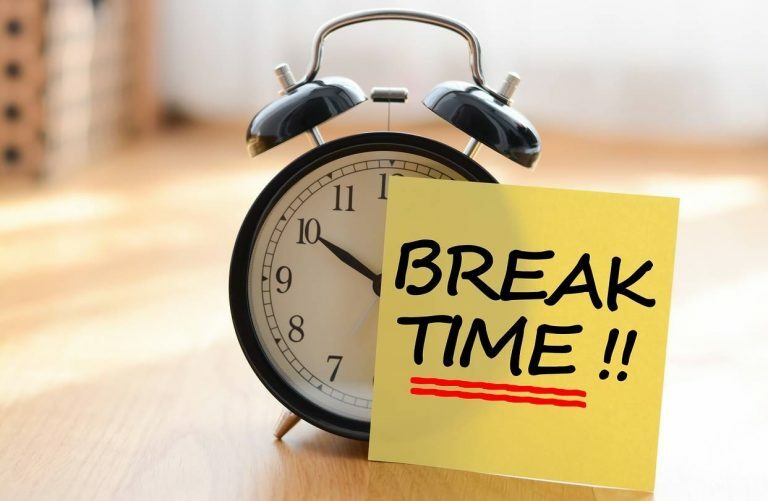 Taking short breaks won’t cost you anything. It will improve your concentration. Let this few minutes break help clearing your busy mind. I understand that we are living in the modern world where technologies and gadgets are fixed on ourselves all the time and wherever we go. It could be quite a distraction to most of us. With updates from friends on social media and latest news online, you don’t want to miss any of it. Yeah, I get it. But what your work? You might feel like you only spent 5 minutes on your gadgets, but in reality, you have already spent more than 30 minutes. Have you ever thought of that? Put your phone on silence or mute your apps will help in keeping you on track. Looking for more productivity tips? Check out this article and this post.